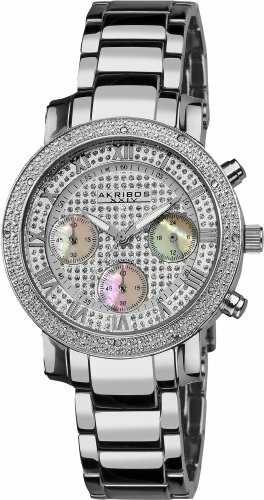 Dazzling diamonds adorn the case of this bold Akribos XXIV Women's timepiece. Boasting a shatter-resistant Krysterna crystal and stainless steel bracelet with engraved Akribos XXIV push-button deployment clasp, this watch has the high-end elements needed to class up any outfit. If you have any questions about this product by Akribos XXIV, contact us by completing and submitting the form below. If you are looking for a specif part number, please include it with your message.